May the 17th, THE PLAN AWARD announced its final winners at Excelsior Venice Lido Resort. Oriental Bay PH5 commercial project, designed by HWCD, has successfully picked up the top prize of interior design category. "THE PLAN AWARD" held by THE PLAN is one of the most influential architecture magazines in the world. The prizes are given in the categories of architecture, urban planning, interior design and engineer design. They represent the highest standards in each field, and are respected in academia. This shopping centre is inspired by Prometheus, and can be likened to an art gallery. Its unique space arrangement and exotic ambiance are bound to excite any visitor. Stepping into the atrium, the visitors’ eyes are caught immediately by the "spaceship" floating above. The cabin-like space is dotted with tiny lights, its unusual shape suggesting a spaceship of some kind, or could it be a Saturn-like planet with its own belt? The ambition and the scope of this design is breath-taking, and certainly fitting for a giant of the aviation industry. 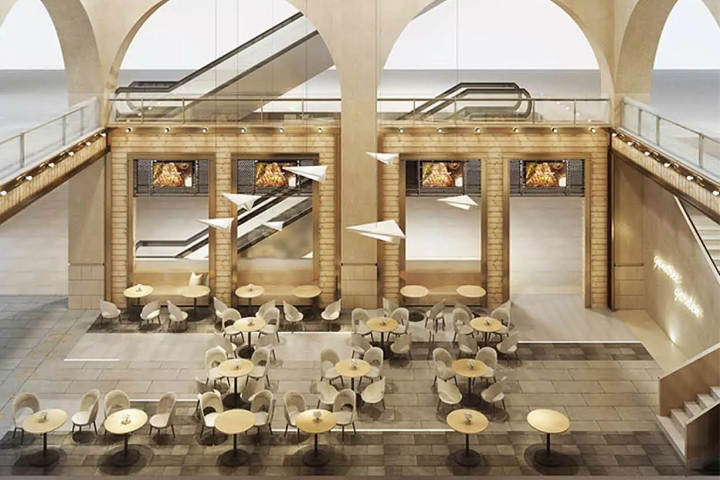 The play of space in the atrium was inspired by Covent Garden of London, where people come to dine, shop and wander, all in a perfectly vibrant and relaxing surrounding. The flight-themed floor and wall design once again reminds visitors of the master of the sky in the pedestrianised aisles. Ascending to the second floor, the scene switches from London to Italy. The wall is decorated with Renaissance-inspired rose windows. The gathering of these windows resembles the clocks showing international times as one expects to find in airports. No unlike the constant updating of flight schedules, time is of equal essence here. Arriving onto the basement floor of the shopping centre, visitors are overwhelmed with a sense similar to that of entering the Great Bazaar. All details are brought to characterise a Middle Eastern feel. The Moroccan pottery inspired lighting adorn the ceiling, while crossed lattice boards add to the space a subtle balance of energy and abundance.